The Anthony Wong Chau Sun, Karena Lam Ka Yun, Carlos Chan Ka Lok, Kathy Yuen (Tong Yi) starred new film SEI YUN MO HOR YI (UNSUSPICIOUS CAUSE OF DEATH) yesterday held a production start ceremony. Boss Albert Yeung Sau Sing personally participated with the cast to pray for a smooth production. The director was Ka Yun's husband Yuen Kim Fai. Ka Lok and Jeannie Chan Ying recently have been caught on a date as their rumors heated up again. Yesterday both denied that they were dating and said that they were too busy with work now. Playing an insurance agent, Chan Ka Lok really worked in the insurance field before he got into the business and even was certified to sign contracts. The role was not difficult for him at all. Ka Lok was caught going to Chan Ying's home after a date, he denied the rumor and said, "We are working on a series lately, we just had dinner. I won't have any friend at all soon." The photo said that Ka Lok fed Chan Ying, he explained that it was an angle issue. That night he did not go to her home. She only gave him a ride to the MTR station near her home. Ka Lok said that last week he was in rumors with Tong Yi, and this week was Chan Ying's turn. They both were his work colleagues. Was Chan Ying his type? Ka Lok said, "She is loyal, like (Michelle) Wai Sze Nga. We are like brothers. Now I have no idea what I am looking for, because I am too busy with work to think about it." Wong Chau Sun revealed in the film he would be paired with Lam Ka Yun. Because the film was a suspense thriller, he joked that he only took the role for the lack of lines. When asked if this film would be like THE UNTOLD STORY, Chau Sun stressed that he would not play this type of characters again. Only the impression made people feel similar. Chau Sun said that his new film character has admired Ka Yun since he was little. He joked, "My character is very handsome but also a little slow, so everyday before work I would stare at Ka Yun for ten minutes before I would be able to get into character." Ka Yun said that before taking her mark, each actor would have a tent to rest in. Chau Sun opened her tent with a stick and everyone was on a rocking chair. They stared at each other as they rocked on their chairs, which was rather funny. Was Chau Sun afraid that Ka Yun's husband would be jealous? He boldly said, "I am dumb, and on top of that he asked me to play the role." Ka Yun revealed that in one scene she had to smack Chau Sun with a bag, but she forgot that she had a metal water bottle in it. Chau Sun ended up with a bump on his head. 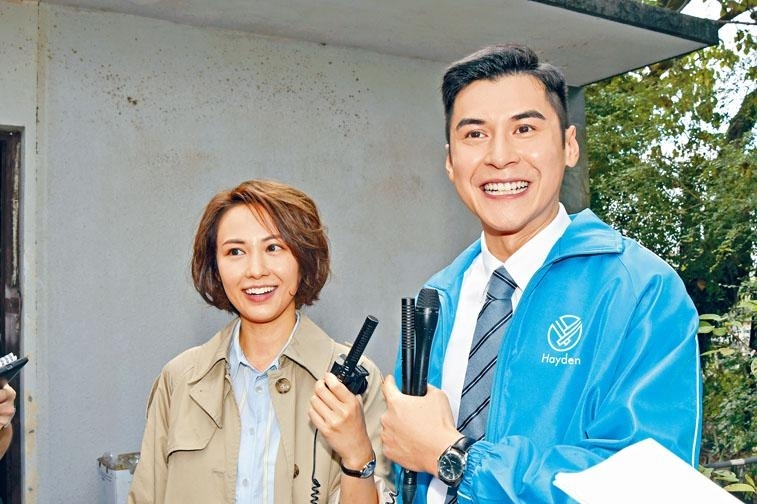 Ka Yun said, "I told (Sean) Lau Ching Wan about this mess up and felt very guilty, but Ching Wan instead praised me and asked why I was so smart." Yesterday Ka Yun looked much older. She admitted that for the character she kept her hair grey for two months, stayed away from hand cream and facial. "The director wants to torture me, luckily someone with a high artistic demand like Chau Sun doesn't mind me." Chau Sun suggested for Ka Yun to complain to her husband director, he might not get back what he had this way.